2 composite RCA/BNC video outputs are available for displaying on two video monitors, or one for a monitor with the other for a surveillance VCR or DVR. 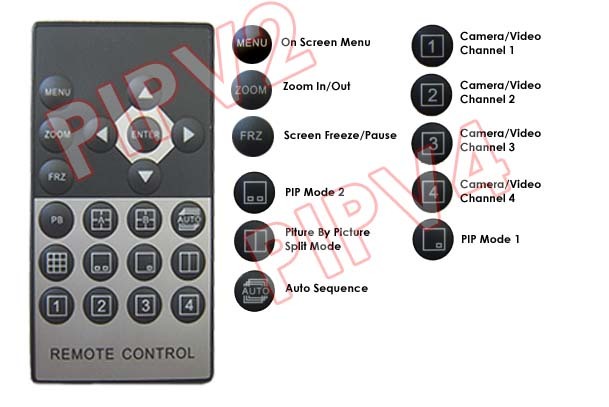 There is also a VCR input port for connection with a surveillance VCR recorder to playback recorded video. Users can easily switch between live viewing and playback of the recording from VCR/DVR connection.